When Hearst bought Car And Driver and Road & Track it became clear that at some point the be-ampersanded buff books would have to be streamlined to make more money for the company. Then, earlier this year, they announced the plan was to move the California-based R&T to Ann Arbor to be closer to its bros. That was only part one. Part two has been revealed and it involves basically firing everyone. 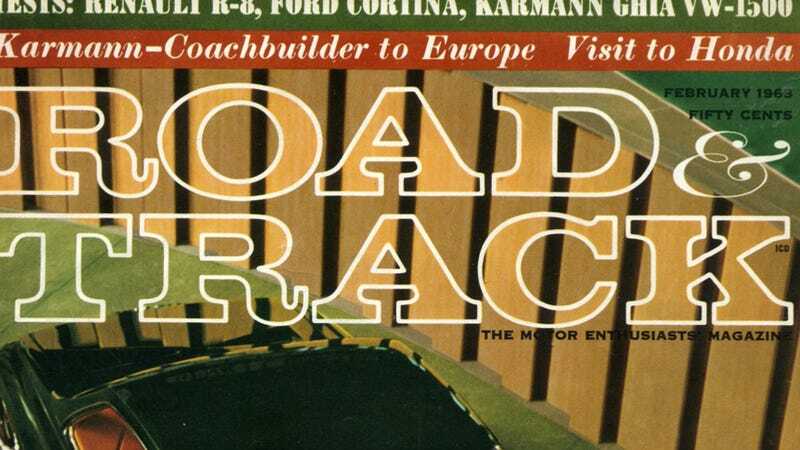 Road & Track was always the slightly wealthy enthusiast's buff book. It was also, for many young enthusiasts like myself, a monthly physical manifestation of our life's greatest aspirations (well, greatest that didn't involve breasts). Growing up I wanted to be like journalists I read about in Road & Track. But as the world changed Road & Track tried to change, haphazardly, with it. They started reviewing cheaper and cheaper cars. They attempted to be just like other buff books. They were clearly the worst at adjusting to the new connected world. The outgoing editor, Matt DeLorenzo, managed to fix absolutely nothing in his time there. Former C-and-D-er and Popular Mechanics editor Larry Webster just took over and, instead of making everyone move out to Michigan he instead fired almost all of them according to someone familiar with the publication. I'm guessing this was at the behest of Hearst and not an entirely personal decision. Some old timers like Peter Egan will remain, and we haven't heard a full rundown of the name of who stays and who goes. We just know that basically everyone in the Los Angeles office was fired with last days being either this Friday or early next Month. While unfortunate for the people involved, it may be for the best. Road & Track is still, to me, the best buff book brand in North America. That it's simultaneously also the worst buff book in North America means change is a necessity if it's to survive. In addition to firing everyone, though, we hope they change everything about the magazine and once again make it a brand for dreamers and not a poor clone of Car And Driver.